Simple placement of a decorative bird house can turn a nesting place for small feathered friends into a splendid work of art. 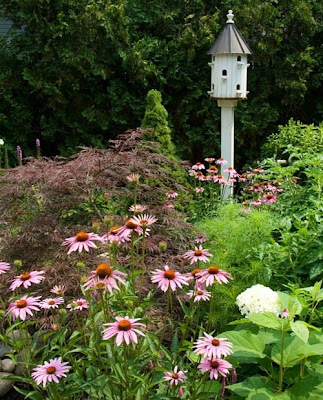 Nestling a Cape Cod bird house among the abundant growth of hydrangeas or hibiscus growing in your very own garden combines the majesty of both nature and wild birds nesting into a glorious masterpiece. Friends and family will be amazed at the magical feeling created just by adding a decorative bird house to the garden. Different styles of decorative bird houses give options for placement, color schemes, and even personality matching. Finding out what that special someone in your life likes and finding the perfect decorative bird houses to match their hobbies or passions is a great way to show your love and make great gifts. Mother's day and anniversaries seem to be the perfect time to choose a decorative bird house for that special lady in your life. Ladies aren't the only bird and garden lovers though. Dad and grandpa might have a green thumb and need that perfect accent to be one step ahead of their neighbors garden. 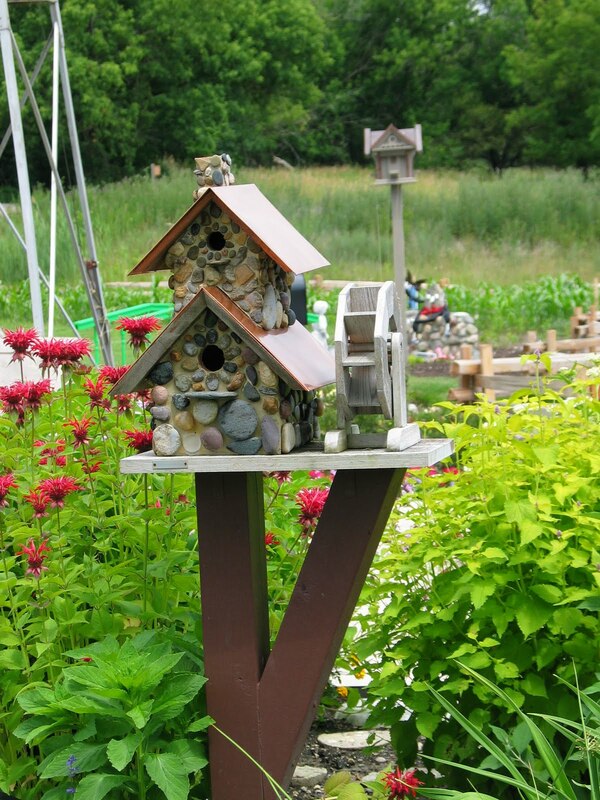 Decorative bird houses can make all the difference in any just about any garden. 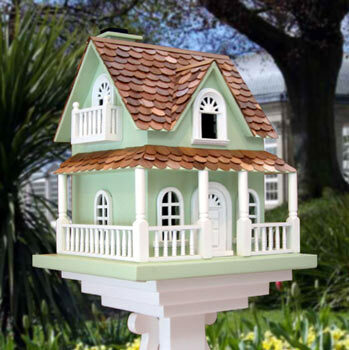 The gorgeous hobbitt decorative bird house with a shingled roof and custom trim work gives an elegant yet simple look to every aspect of the garden. The covered porch provides a lovely and homey look while also giving shelter to birds from the works of mother nature. Small cottage decorative bird houses are simple yet attractive and don't take up too much space. Hanging these bird houses from trees, posts, or setting on benches will call in many feathered friends while creating the perfect contrast to the abundance of color in the garden. The Hadley Park bird house has a unique look with it's copper roof and single hole entry. Perfect for nesting and keeping feathers dry, this decorative bird house has the ability to protect while giving a rustic look to the garden. Just adding one of the many styles of decorative bird houses to the garden can transform everything, from the way it looks to guest to the way it sounds in the morning when the birds are chirping and fluttering around. Decorative bird houses are a simple solution to any gardening challenge. It seems like finding the plants are the easiest part, but then it comes down to accents and everyone gets stuck. A decorative bird house shows a love for nature, a creative accent choice, and a simple way to transform ordinary into brilliant!